Looking for that perfect home in a 55+ neighborhood that is nestled in a quite cul-de-sac area with beautiful landscaping and extra large patio? Look no further! This home has new hardwood laminate flooring, extra landscaping including elegant retaining wall in rear. Open floor plan with beautiful kitchen w/granite counters perfect for entertaining! Enjoy a relaxing evening in your own sun room! Large master bed and bath with grand walk in closet. 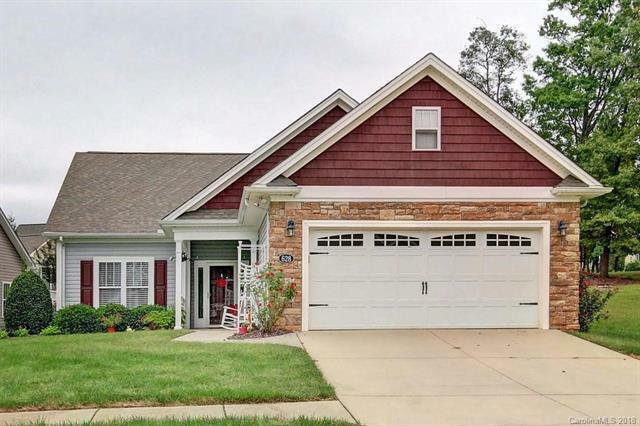 Tray ceilings throughout, surround sound in living area, large front porch for relaxing, extra storage above garage and the list goes on.... a definite must see! !